One common complaint I hear from clients, family and friends is “I just don’t have the time”! We are all so time poor these days – no time to exercise, no time to go food shopping, no time to cook and certainly no time for self care. Yet all of these are vital to our health, vitality and longevity. 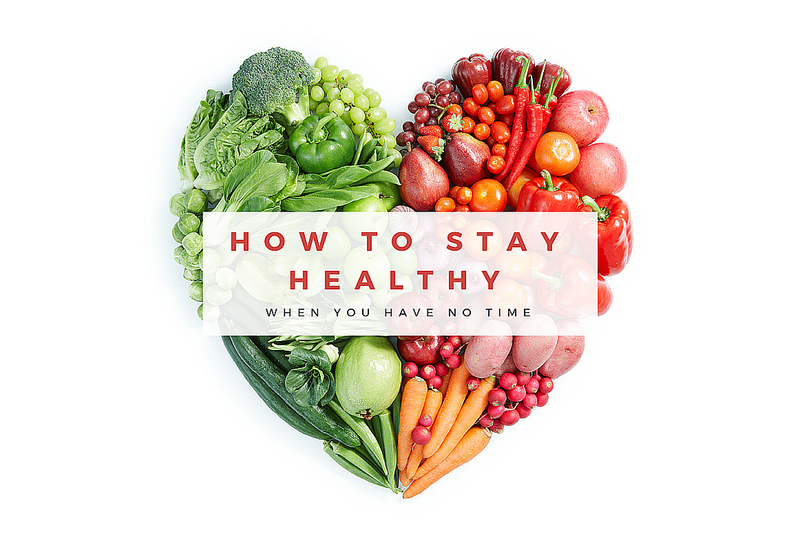 Here I will share with you some tips and ideas to help you find time in your day to ensure yours and your families health are priority No. 1! If you don’t have time to go food shopping during the week plan to do your food shopping on weekends where you can visit local farmers markets if there is one close by or just your local grocery store. Many grocery stores these days are stocking organic produce, but most importantly try and buy local when you can. Another idea for managing your food shopping is doing it all online. There are so many options these days – from small organic sellers right through to the larger supermarket chains. Set aside an hour or so over the weekend to plan your meals for the following week. Try and cook meals in larger quantities so you have left overs for lunches or even a second dinner – cook once, eat twice. This will save you time and means you’ll have healthy cooked food in the fridge ready to go. Sunday evening get your diary out and schedule in your weeks workouts. Even on the days you don’t think you’ll have time – schedule in a 15 min session where you can just do a quick workout like this – 15x squats, 15x push-ups, 15x jump squats, 15x tricep dips, 15x crunches, 15x jump jacks. Set your timer and repeat non-stop for 15 minutes. Once you have scheduled your weekly workouts be sure to treat them like any other appointment in your diary – don’t cancel! Self care such as massage, infrared sauna sessions, acupuncture, chiropractic, yoga, meditation, aromatherapy etc are all super important aspects of your healthy life – yet many of us never find the time to do these. I recommend scheduling in 1 self care practice each week – even if that once a week means running a hot bath, adding a few drops of lavender essential oil, dimming the lights and jumping in the bath with your kids (yes I know it may not be the most relaxing bath! ), but I promise you will all have fun, laugh and hopefully feel a little more relaxed than when you first jumped in. Once you are in a routine of scheduling in ‘self-care’ you will wonder how you have gone for so long without it and hopefully you might even start finding time for more self care that you can easily practice at home. Believing that you’re ‘allowed’ time for yourself and that looking after YOU is and should always be number 1. After all – if you cant look after yourself how on earth are you going to look after the rest of your family? Find the time to plan and schedule your week so that you can live a healthy, happy life and love what you do every day.